James Duckett: What Makes a Hero? 1) Voldemort wants to rid the world of muggles, an impure race who would wage war in a heartbeat upon wizards and witches if they knew they existed (which, while a little racist, probably isn't far from the truth). This is also the motivation of X-men's Magneto. 2) Darth Vader wishes to keep peace and order in the Universe. 3) Even in Ender's Game (spoiler alert), the formics just didn't know better, and they'd see Ender and his Army as the villain. Ender even recognized the villain in himself by how he handles Stilson, Bonzo, and eventually the formics. In the sequels, the universe regards Ender as the villain. 4) The Joker (Heath Ledger's version) wants to reveal the hypocrisy of people. The world would be better if people just showed their true colors and stop hiding behinds their (metaphorical and literal) masks. Making sure the villain of your story sees themselves as the good guy is a great way to build complex, interesting, and believable villains. And stories. Consider this clip from Cracked about Firefly. It isn't a big revelation that Firefly is a show about the bad guys. Viewers have justified that, sure, the crew of Firefly aren't the nicest people, but the Alliance is worse. Also, Mal is interesting, funny, good looking, and has a soft spot for people on the run from the government. Obviously the good guy, right? One thing that I liked about the Cracked discussion is the possibility that the Alliance are actually pretty nice dudes with the benevolent motive of educating, feeding, protecting, and taking care of its citizens. Dealing with criminals is something all governments--good and bad--have to deal with. Firefly could have been the story of a government marshal tasked to stop the thieves/pirates causing chaos and trouble from The Serenity. In the end, Mal and his crew still consider themselves the heroes. Consider your story. If you could retell it from the point of view of your villain, you are on track to writing something interesting and fun to read. Who knows? Maybe you'll consider the villain's position and decide that the story is better told that point of view. Don't forget your side characters. They aren't just there to move the plot forward; they also have wants, motivations, desires, and back stories. They see themselves as the hero. Take Luna, Neville, and Snape from the Harry Potter stories. 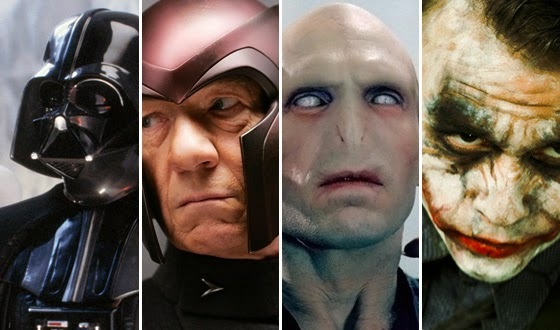 While they don't go toe-to-toe with Voldemort like Harry does, they are all heroes in their own minds (and mine as well). They are all rich, wonderful characters who have to make hard choices to combat wickedness. Just like the hero. That series could easily be re-written from their points of view and be amazing stories. I would pick up Snape's story in a heartbeat, if Rowling wrote it. Note: I know, I've been neglecting this blog. I need to change that. Also, I still owe you a post on the Duckett Reader Awards. I'll get to it this month, I'm just slammed!